Perrysburg Board of EducationThank you for your service, Sue Larimer, Jarman Davis, Ray Pohlman, Eric Benington and Gretchen Downs! Decision Day 2018Celebrating our graduating class and their continuing education! 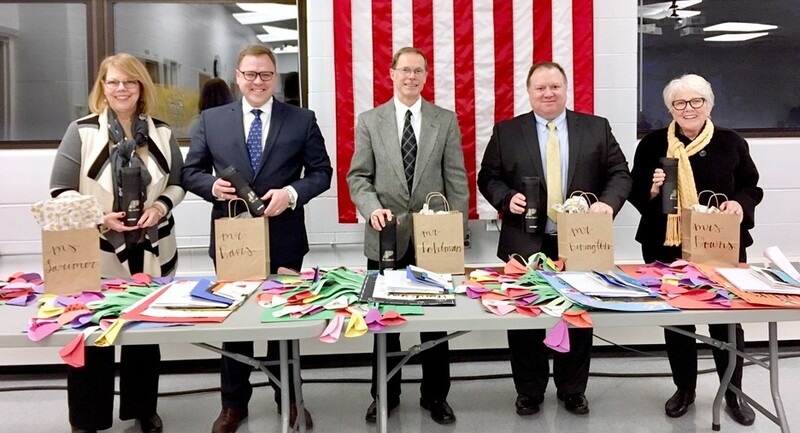 Perrysburg Country Garden ClubHonored for $9,950 donation for water-bottle filling stations at Perrysburg Jr. High School! 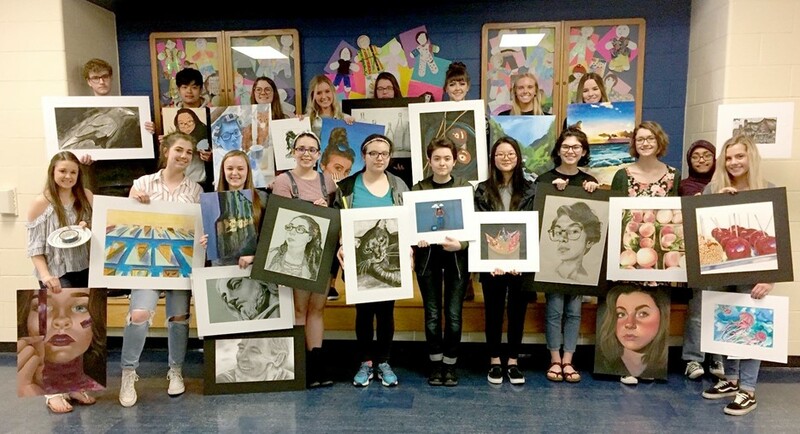 Ohio Governor's Youth Art ExhibitionPerrysburg High School’s regional winners pictured here were selected for state judging. 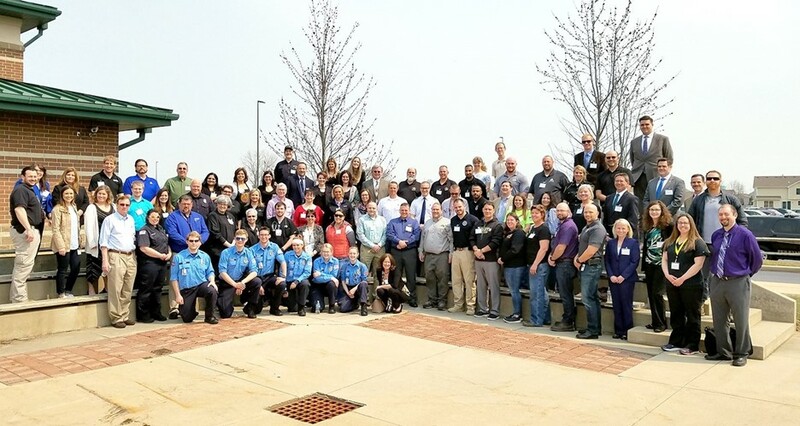 PHS Career Day a Success!Thank you to the more than 70 volunteers who came to share their careers with students! After School Visual Journal WorkshopMembers of Mrs. Meghan Yarnell’s Junior High 6th Grade Art Class went on an after school trip to Gathering Volumes Bookstore, where they had a Visual Journal Workshop! Board of Ed recognizes Resident Educator Summative Assessment Top 100 AwardeesCongratulations Corinne Roach, Brittney Murphy and Grace Hanna! For the cast and orchestra members of the musical, preparation began in early February. Vocalists and orchestra members have dedicated many hours working through and refining the music for this show. A Perrysburg High School student was charged by Perrysburg Police Department for telecommunications harassment today, April 17, 2019, in connection with a Twitter account that was opened last week that contained posts (now removed) that made very inappropriate and disparaging comments about several of our female students. We are pleased to share that more than 100 students reported this Twitter account to teachers and administrators last week, which enabled us to quickly respond and begin our investigation in partnership with Perrysburg Police Department. The fourth and final School Finance 101 class of this school year, Growth & Levy Outlook, will be folded into the regular Board Meeting being held on Monday, April 22, 2019 at 5:30 p.m. at the Board of Education Office (140 E. Indiana Ave., Perrysburg). It had originally been scheduled as a freestanding event on that date before the April Board Meeting was moved from the regular third Monday of the month to April 22. Perrysburg Schools was made aware of a Twitter account that was opened sometime during the last 48 hours and subsequent posts that made very inappropriate and disparaging comments about several of our female students. The Perrysburg High School After Prom Committee selected “Game On!” for this year’s event theme. The winning designs for the T-shirt graphic contest include the many facets of “gaming” such as video games, board games, game shows and sports. The Jacket Hub app makes it easier to stay connected! 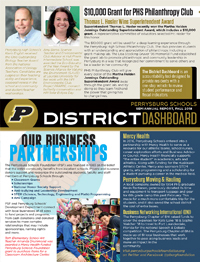 Just search "Perrysburg Jacket Hub" in your App Store, iTunes® or Google® Play and download for your iPhone® or Android® device. Whether you're looking for a fellow graduate, employment opportunities or if you'd just like to keep up on news, this is your go-to app!